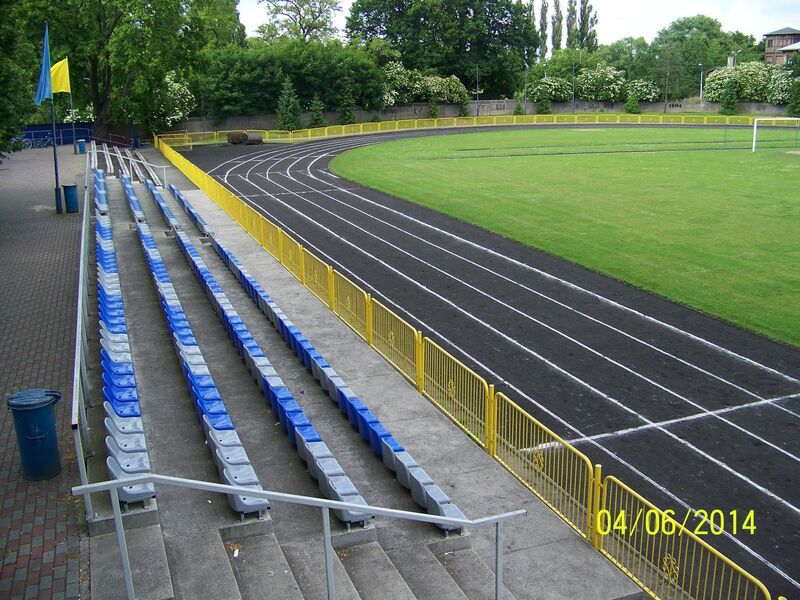 Construction of this stadium came with a wave of new sports investments in 1930s, thanks to the 1936 Berlin Olympics. 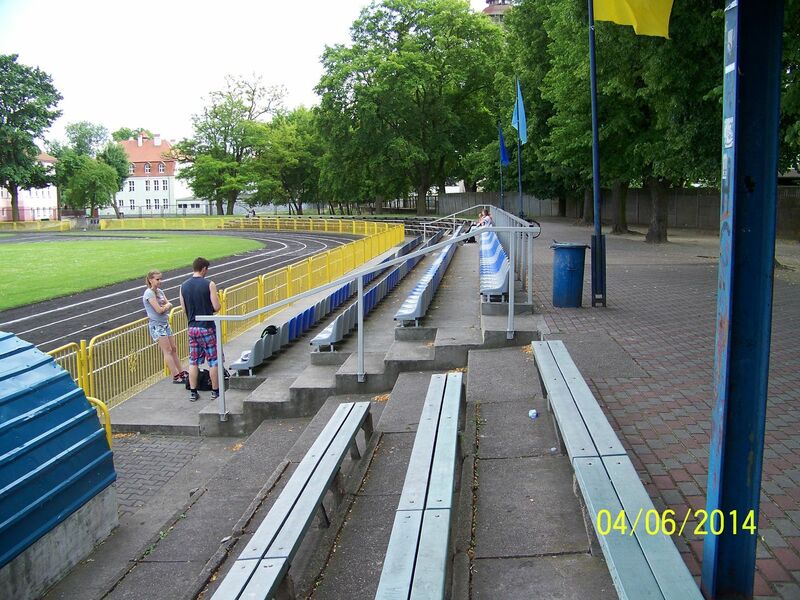 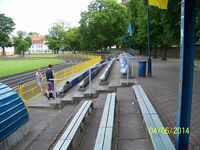 Back then Międzyrzecz was under German reign and the stadium was named Maifeld (May Field). 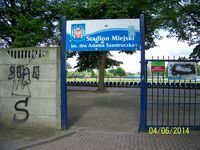 Quite fittingly, since it was opened on May 1. 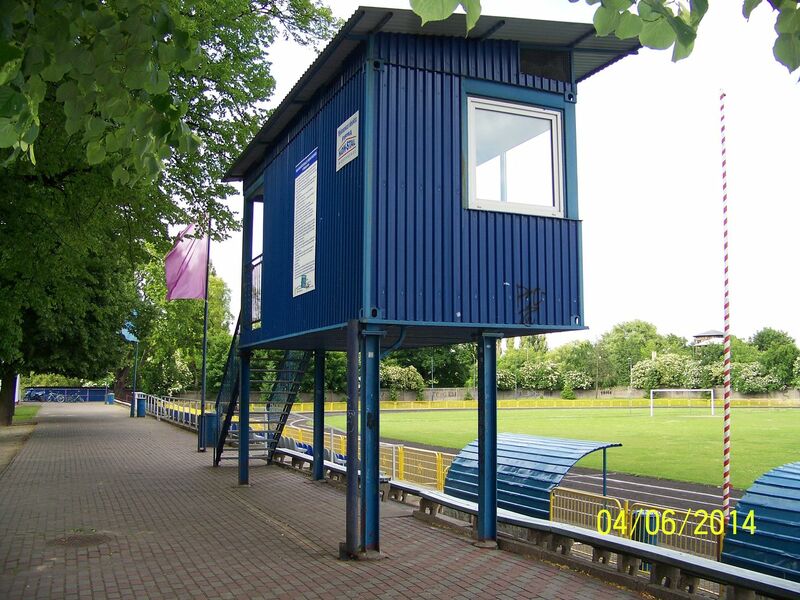 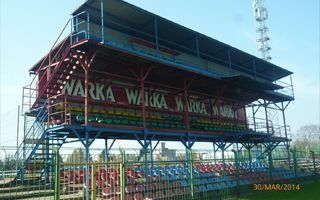 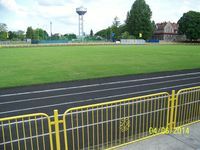 After Poland regained control of the region in 1945, new club Orzeł (Eagle) was formed, playing at the stadium to this day. This team’s 40th anniversary drew roughly 4,000 people to the stadium in 1985, which remains the unbeaten crowd record. 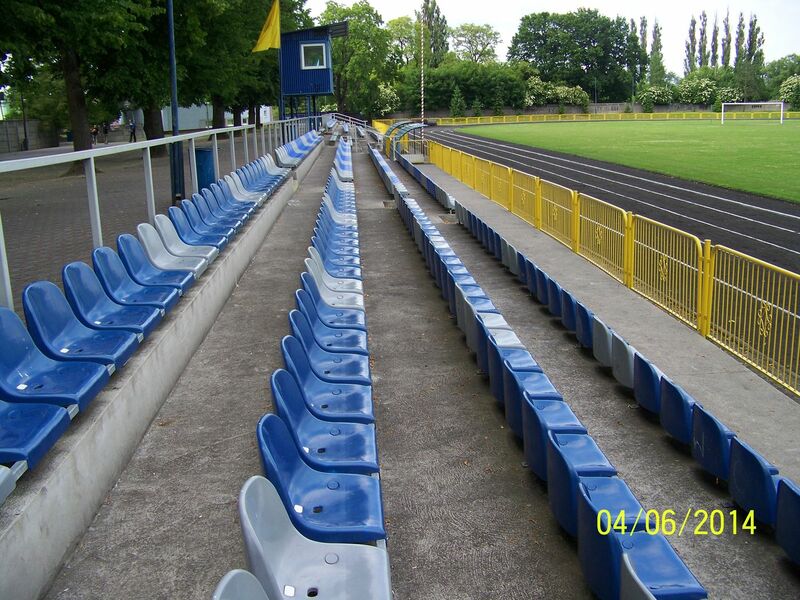 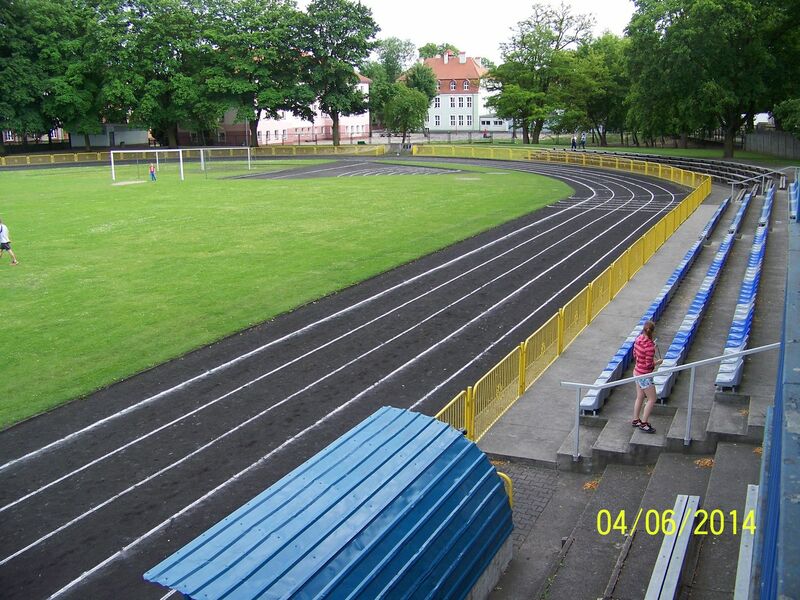 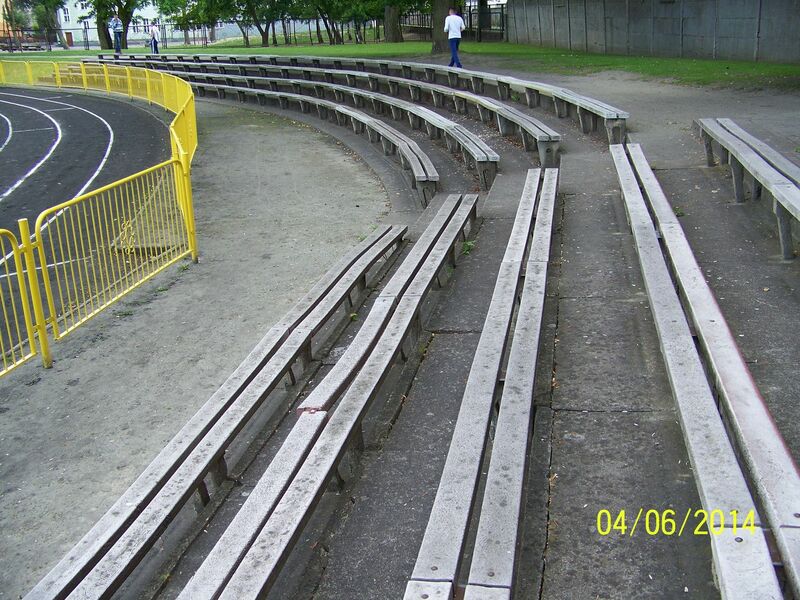 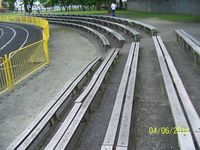 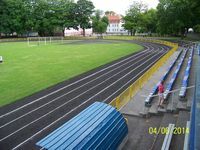 Today, after a series of renovations, the stadium offers over 500 seats, a tarmac running track with 6 lanes and a modern changing room building. 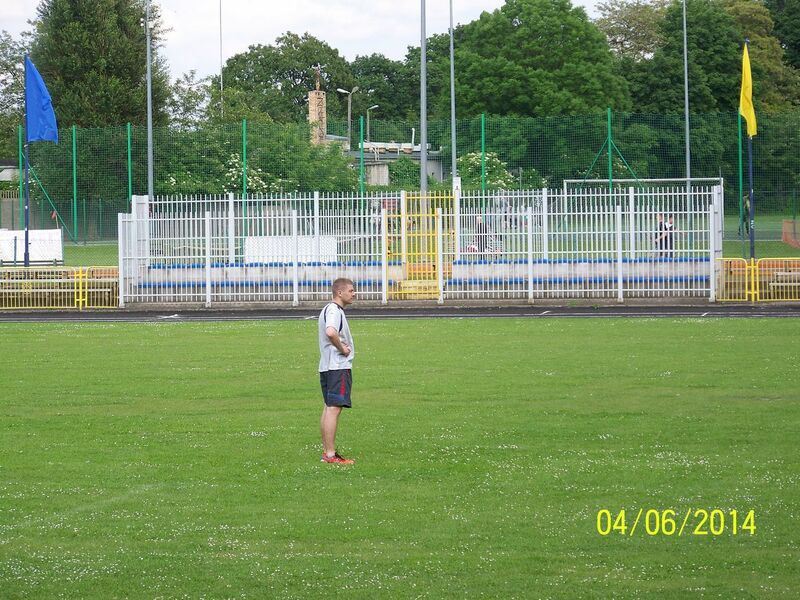 In 2010 the ground was named after Dr Adam Szantruczek, local doctor and honorary president of Orzeł.